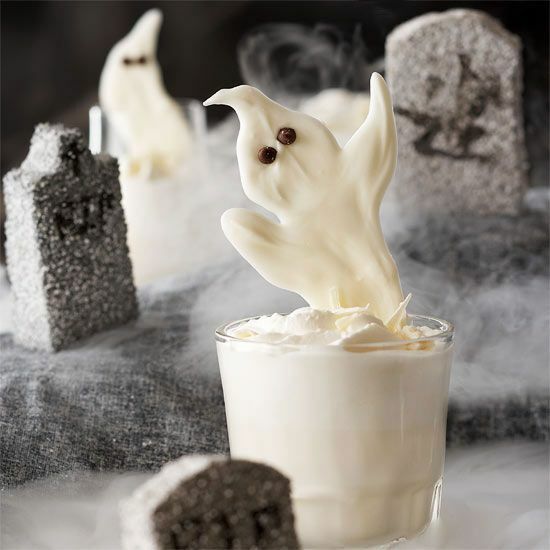 Halloween is one of my favorite times of year, not only is the weather great but so many people get into being creative and coming up with fresh ideas for Halloween party ideas, spooky drink concoctions and tasty treats designed to be scary and fun! I love everything about it. 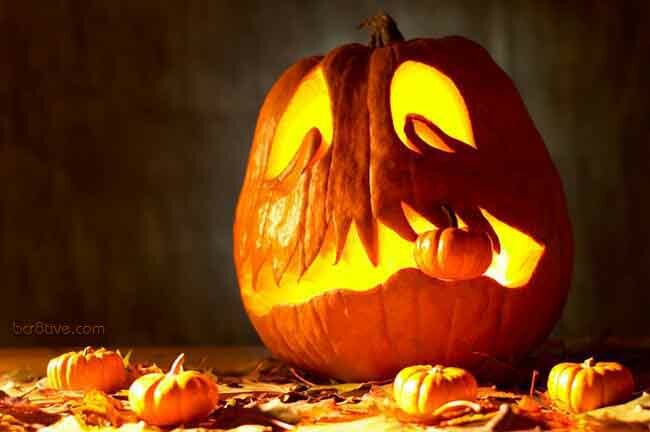 The clever costumes, unique pumpkin carving and decorating, and spooky haunted houses. Just when you think you’ve seen it all, someone thinks outside of the box and creates something completely spooktastic! One year some of my neighbors placed big blocks of dry ice in their pools to create a spooky, movie-like atmosphere for Halloween. Others built scary little play houses for the kids to walk through, to get their candy. It was a lot of fun! I’ve also seen many terrific DIY Halloween projects on Pinterest. Ghosts made out of chicken wire for the lawn. Starch & cheesecloth combined to make an adorable indoor ghost. Do-it-yourself Halloween Lanterns crafted in many ways just using old recycled bottles or jars. Ideas for decorating pumpkins seem endless – from funny and spooky, to pretty and decorative. 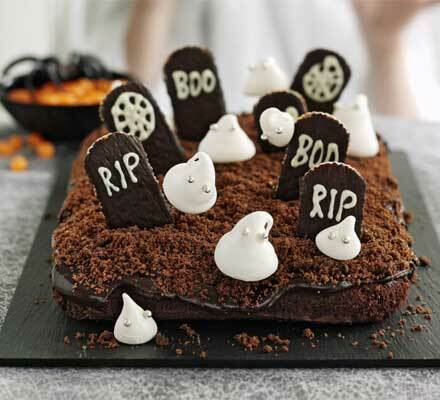 Halloween parties are popular too and it is especially fun to plan thematic parties and decorate for them. 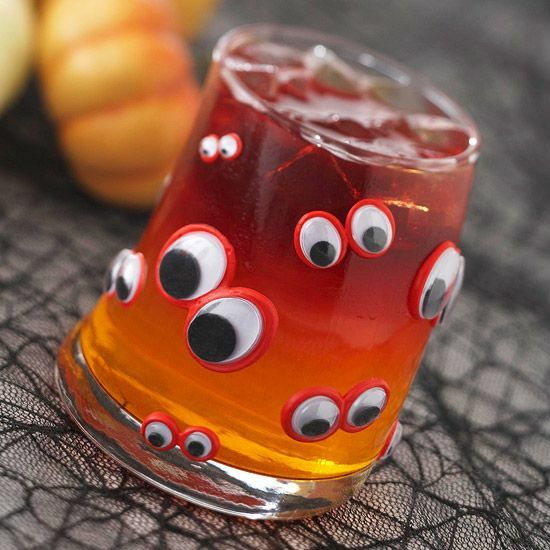 Eyeball ice cubes can be purchased to float in glasses and keep drinks cold. 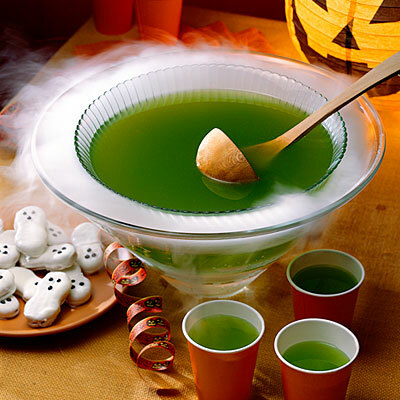 Dry ice can be added to punch fountains or to create cauldrons for a smoky and spooky atmosphere. The best part of the party though is the food, snacks and drinks created with a Halloween theme. They can be healthy and tasty too. 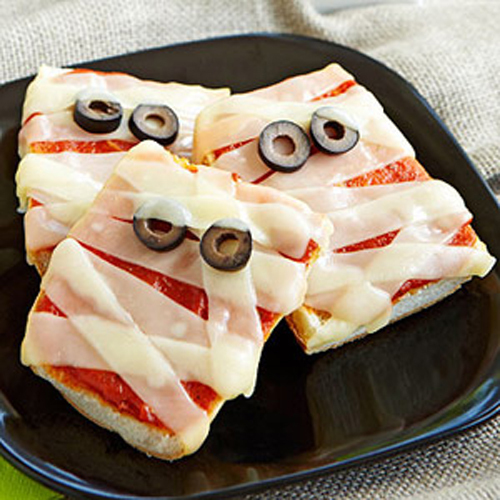 Almost anything having ‘eyes” added makes a Halloween character out of food! 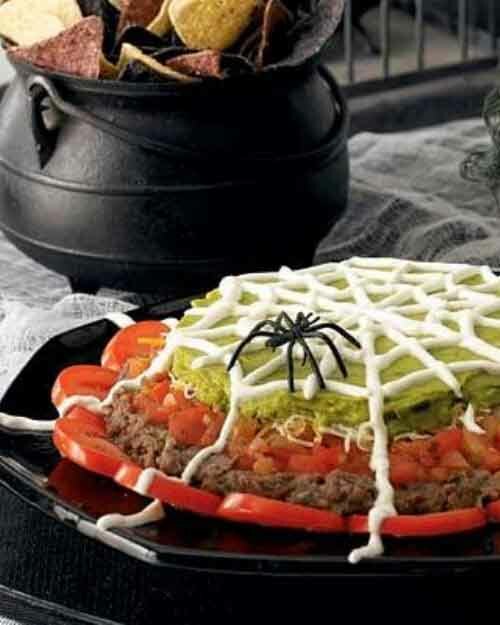 These are just a handful of creative Halloween Party ideas and Creative Halloween Food ideas from around the web that I found extra fun for Halloween treats and boos. 🙂 Links to available recipes are below. 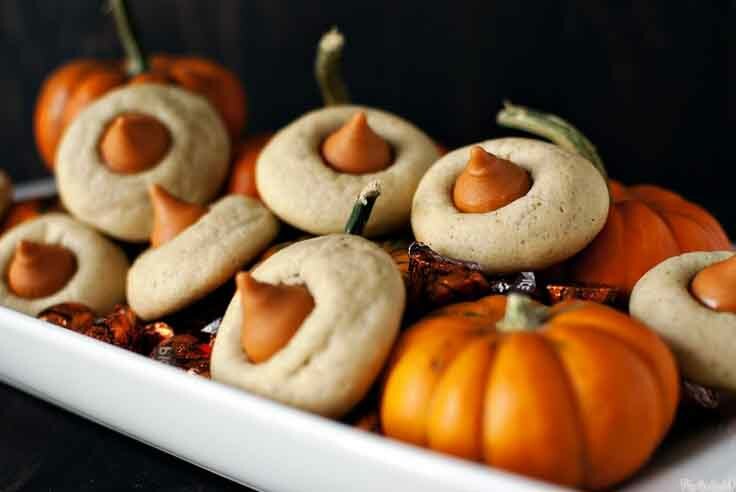 Do you have any Creative Halloween Party ideas? Leave us a note below & tell us about it! Recipe: 1 ¼ oz. Stoli Vanilla vodka and 1 ½ ounces Patrón XO. 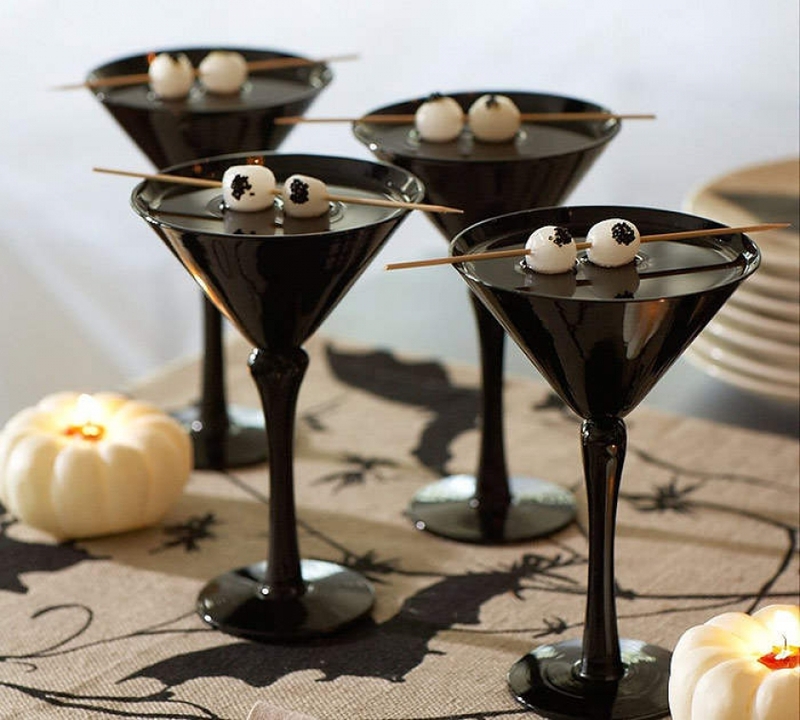 Serve chilled in a martini glass and garnished with a maraschino cherry. Dry ice optional. Method: Add ingredients to shaker with ice and shake. Strain into cocktail glass and garnish with a cherry. To create boiling effect, add dry ice according to package directions. 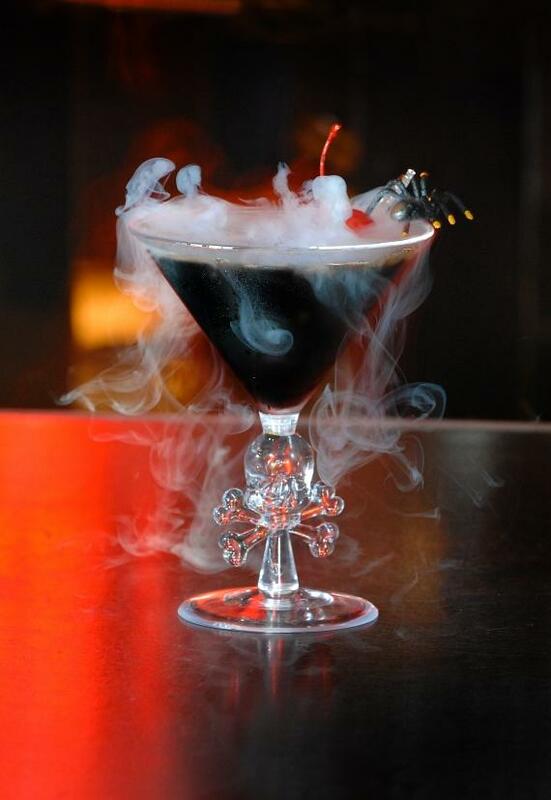 The “smoke” is created by the addition of water to dry ice. Dry Ice is added to the “Cauldron” & is NOT in the punch. Recipe on Epicurus. If you’d like, you can pin all of the images as one. It will post large. 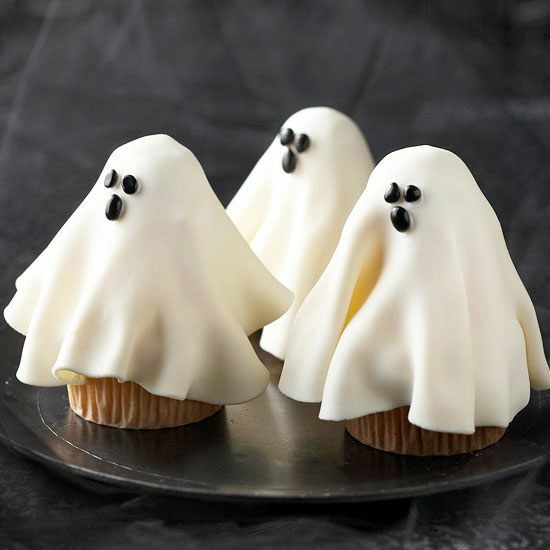 for Creative & Fun Decorating Ideas & More Ghoulish Recipes.